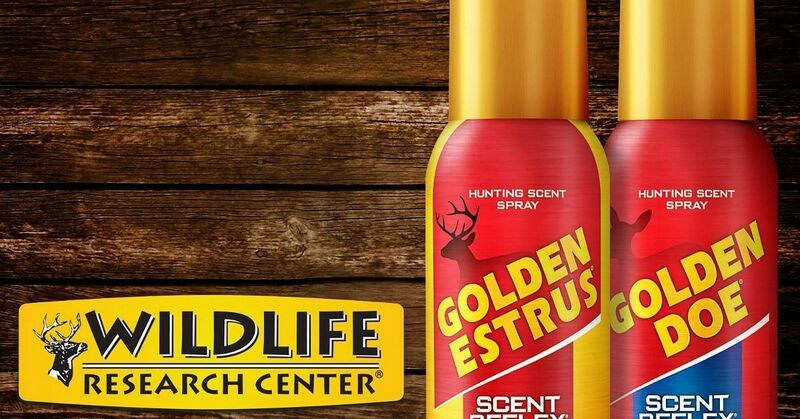 After years of development, and just in time for deer season, Wildlife Research Center expands its premium scents into pressurized spray cans. The busy season is beginning to roll in hunting retail outlets throughout the country, and chances are good that you're curious about new products on display that could help you fill your whitetail tag this fall. Here are two new items from Wildlife Research Center that will easily fit in your daypack. Almost every bowhunter has used Wildlife Research Center products in the past. From proven Scent Killer for eliminating odors to clever Key-Wicks for dispensing liquid attractants, the company has been a leader in odor elimination and scents. For 2018, WRC is introducing two new products specifically for whitetail hunters. Golden Estrus Extra Premium Doe Urine with Estrus Secretions and Golden Doe Extra Premium Doe Urine are now available in high-performance spray cans, making it easier than ever to effectively dispense scent. These 3 FL OZ pressurized cans come standard with a High-Output sprayer. Not only will it spray upside down, but it also has up to a 25 percent higher output. The Bag on Valve system separates the premium scent from pressurized air used to propel it out of the can. Some spray scent aerosols can be diluted with propellants, which in turn might contaminate the scent. Only high-quality propellant-free scent is dispersed from these Wildlife Research Center cans. MSRP on the Golden Estrus and Golden Doe Super Charged 3 FL OZ sprays is $15.99. For more information on the entire line of scent elimination products and hunting lures from Wildlife Research Center, visit www.wildlife.com.